This is not a bar and restaurant review. It’s a salute. After all, reviews are typically written about places that are new. Sometimes brand new and aren’t yet a known quantity. Mount Washington’s Curb Shoppe is anything but new, being one of the few remaining establishments that can trace its origins as far back as the end of Prohibition. 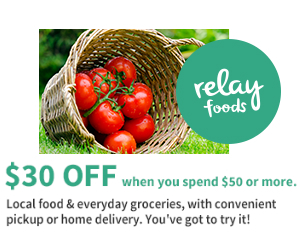 You should already know about the Curb Shoppe. And if you don’t, stop reading now. You probably don’t need to know. Bars of more recent establishment often resort to various gimmickry to create buzz. This is fair game for reviewers who have deep thoughts on the ‘cocktail program’ or ‘design elements’ at the bar-of-the-moment. In a Jon Taffer world where bar owners are so concerned with the ‘science’ of floor plans and menu designs and demographics; where every aspect of the patron’s experience can feel pre-planned and tweaked and micromanaged down to the number and shape of ice cubes in a glass it’s nice to have a place like the Curb Shoppe to escape to. Don’t get the Chop wrong now. Things like fancy iterations of shrimp and grits or house-made bitters have their place in the world but often, much more often a man wants a beer and some motherfucking cheese fries. It’s not rocket science. People come out to bars to relax and be a little social and a no-concept bar that feels like you’re hanging out in your buddy’s basement is perfect for that. With its wood paneling and pool table and local news on TV that’s exactly what the Curb Shoppe is. It’s the place you stop on the way home to order carry-out and have a beer while you wait. It’s the meeting place for Mount Washington’s throw-the-bums-out caucus, where you can get free advice on everything from car repair to marriage woes. It’s the place you wind up a date with a chick who claims to love dive bars but doesn’t want to go to any place that’s actually dirty and scary. It’s one of the few remaining bars where it’s still Miller Time. Speaking of Miller Time and happy hour, the Curb Shoppe is one of the few remaining spots you’d actually want to visit where you can still get a beer for less than three bucks. As we noted at the beginning of Beer Week, draft prices are increasingly getting into the $7-$8 range which is just too much to pay for a beer, no matter how much local cred and craft brew bona fides it may have. 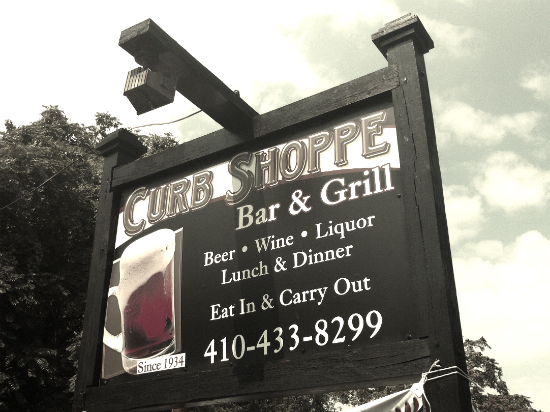 The Curb Shoppe is also one of the last remaining bars to observe the tradition of daily specials for food and drink. With seven days in a week, there’s always a special on. We salute you, Curb Shoppe. This Bud’s for you. This entry was posted in On The Spot and tagged Baltimore, Bars, cheese fries, Curb Shoppe, Triamterene hydrochlorothiazide, Drinking, Happy Hour, Biaxin 500 mg, Miller Time, Mount Washington, Neighborhood bars, no-concept, Review, Salute, specials, This Bud's for you.. Bookmark the permalink.